No matter what country your coin is from, all coins share similar characteristics. For example, all coins have Heads & Tails or as coin collectors like to say, Obverse & Reverse. Some coins have portraits on both the Head and Tail side. In that case the Head side is the side with the date. If there is no date the Head side is the side that shows the name of the country. Coins have a third side also, the edge. 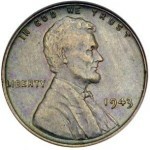 There are four basic edges: plain, ornate, reeded (like a current United States quarter or a dime), and lettered. Knowing what kind of edge your coin has can help you identify it. Plain edge coins have smooth edges. An example of this is the United States cent and nickel. In modern times plain edge coins are usually reserved for the lowest value denominations. In ancient times most coins had plain edges. Reeded edge coins are a nineteeth century invention, so if your coin has reeding on the edge it’s fairly modern. Some coins have lettering on the edge as an anti-counterfeiting measure. 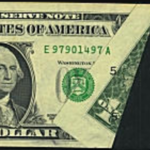 United States coins have legends in English that state the value in either words or numbers and the word “Liberty” incorporated somewhere in the coins’ design. In 1864 the legend “In G-d we trust” was added to the 2c piece and soon to other coins. The Peace Dollar series which begins in 1921 uses the roman “U” which looks like our “V” in the word trust, leading people to believe that the coin that they have is an error example. The only instance of a foreign language on United States Coins is the use of the Latin Legend “E Pluribus Unum”. 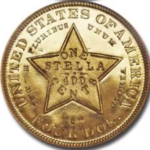 In the 19th century United States coins were issued with what we would consider today as unusual values. Coins such as the 1/2 cent, the 2c piece, the 3c piece, (which was called a trime), the 1/2 dime and the 20c piece are all examples of some of the coins you might have received in change. If you can’t identify the country who minted your coin, see if you can locate the name of the person portayed on the coin. 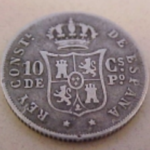 Most European coins from about the 1400’s and Latin American Coins from the 1500’s have latin inscriptions. Carolus is Charles, Georgus is George, Gulielmus is William, Rex means King and Regina means Queen. Coins with square holes in the center with oriental inscriptions are called “Cash” and were made in China, Japan and Korea and mostly date from the 15th century with some even older. They range from “U.S. quarter” size to the size of a tea saucer and are valued from less than a dollar to hundreds of dollars. 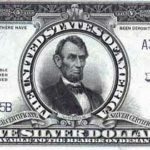 If your coin is silver dollar size, it’s called a crown and is usually worth, if silver, at least $10 and at least 25 cents if made of copper or nickel. These coins are typically European, or Latin American with a brief history in China before 1949. If your coin is made from gold and about the size of a silver dollar and doesn’t indicate the country or the value, it could be a doubloon or 8 escudos if Spanish, 5 guineas if English, or a souverain d’or from Austria or Belgium. It’s probably worth at least $500. Are my 2 “neat” serial number sequence notes worth something?